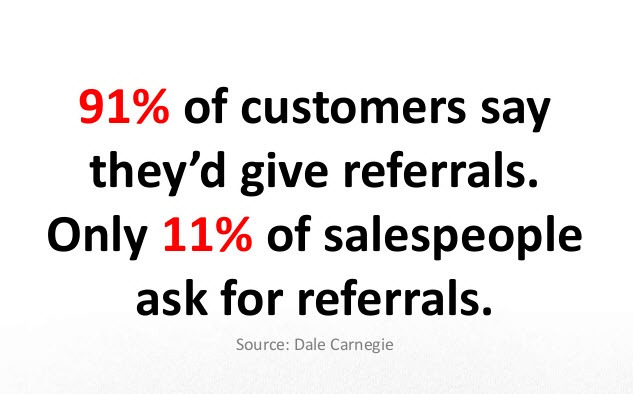 A huge part of building your business is getting referrals from your existing clients and/or members. Referrals don’t stop there, though. You should be creating a network of other professionals that you can refer your clients to. The reasons for this are twofold. First, when you refer a client to another professional that can further enhance your client’s health and/or wellness, they get even better results and will appreciate you all the more. Second, when another professional receives a referral from you, they will feel compelled to reciprocate (as long as you are good at what you do). These professional referrals are a low-cost way to get qualified (someone that’s already interested) leads. Start by finding other professionals that don’t offer what you do, but complement it. Look for them in the areas of health (medical doctors, physical therapists), fitness (maybe yoga or a swim coach), nutrition (RDs, personal chefs), bodywork (chiropractors, massage therapists), beauty (hair, nails), etc. Meet with them and explain what you do and that you are looking for other professionals that you can refer your clients to. Ask about their qualifications, philosophies, and references to make sure you feel confident in referring to them. Refer your clients when appropriate and review their experience afterward. Their experience will either support your use of this professional or let you know to look for someone else. The right professional referral network will benefit everyone involved.